Now that I’m a couple months into life with a third child…this is the way I would describe it. Life with three kids is a constant decision of who needs you most. Who’s needs are the most important. Who’s can wait. Who’s can’t. It’s a non-stop juggling act. At times, you will drop a ball. Sometimes, even all three balls. But you just pick them back up and keep on juggling. 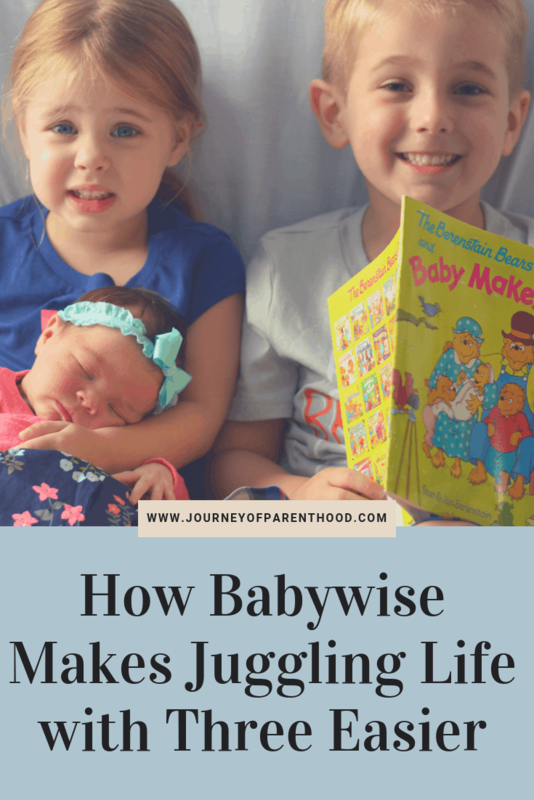 The first thing you may think when you read this is “but I don’t even know how to juggle!” Well. I didn’t either! I’m a perfectionist. A true Type-A personality. I like order, I live for structure. But I am also a planner. I always knew I wanted a large family. I always knew that life with three would be happening for me at some point. So I have been preparing my life and family for this transition long before even becoming pregnant with baby 3. 1. Sleep: It’s no secret. Sleep is important for us ALL. Everything flows from good sleep…we feel better, we are happier, and we are better able to focus. All of my children sleep well. It’s not easy to implement sleep training, but it pays off quickly! By having children who sleep, my husband and I are also able to sleep. Sure, we have the newborn sleepness night phase but it’s made easier by not being woken up by our older children! I know when I’m well-rested I’m better able to focus on the needs of my children and really problem solve and be more in the moment with my parenting decisions. I think clearer and can process things more efficiently. For my children, when they are well rested they behave better! There are less fits, fights, and tears when everyone has their sleep. Everything is easier when we all feel our best and having the rest we need gives us the best start to the day each morning! 2. Independent Play: Independent play is something that’s tough to implement with your first baby. You just want to spend all their awake time cuddling and loving on them! Even with my third I still struggle to give her time to “play” solo. The benefits of independent play are so worth it though. By raising children who can play well on their own they will be more content and better behaved when you can’t give them your full attention. My newborn requires a LOT of my time and attention. I can’t keep a watchful eye on my older children when I’m nursing or in her room dealing with sleep issues. It’s a HUGE blessing that I can trust my older two (who are 5 and 2!) to play on their own. They enjoy solo play as well as sibling play. Their attention spans can handle playing with just one thing for an extended time. They clean up on their own without prompting (at least most of the time!) and they know our family rules and obey them even when I’m not in the same room. 3. Discipline: Discipline isn’t something we enjoy as parents, but it’s essential! With more than one child, it’s difficult to always be consistent when it comes to discipline. By being consistent when they are younger, it makes it easier to discipline as they get older. Our 5 year old very rarely needs discipline and even our two year old needs less and less of it as she’s getting older. When they do need discipline I can tell them to go sit in their rooms and I can finish whatever else I may be doing (putting baby to bed, nursing, bathing baby, etc) and then tend to them. I’m thankful we established family rules early in life for our babies and that we focus on teaching them obedience and respect. Having children who do what I tell them to do when I tell them to do it makes handling everyones needs much easier. Many times when I ask the question of “who needs me the most right now” the answer is: the baby. I’m a big believer in putting the baby’s needs first for the first year of life (you can read more about my thoughts on that here). 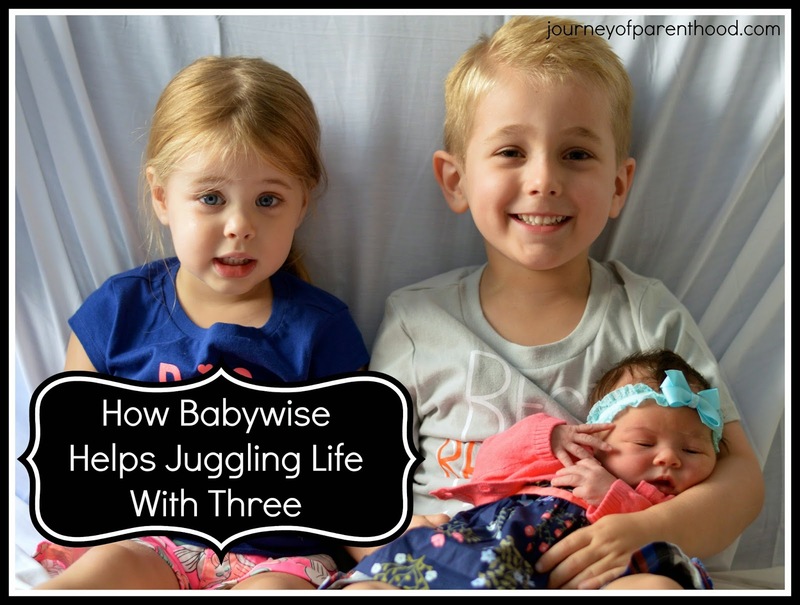 By having older children who sleep well, play independently, and are obedient it makes juggling life with three much easier and life much happier for us all! 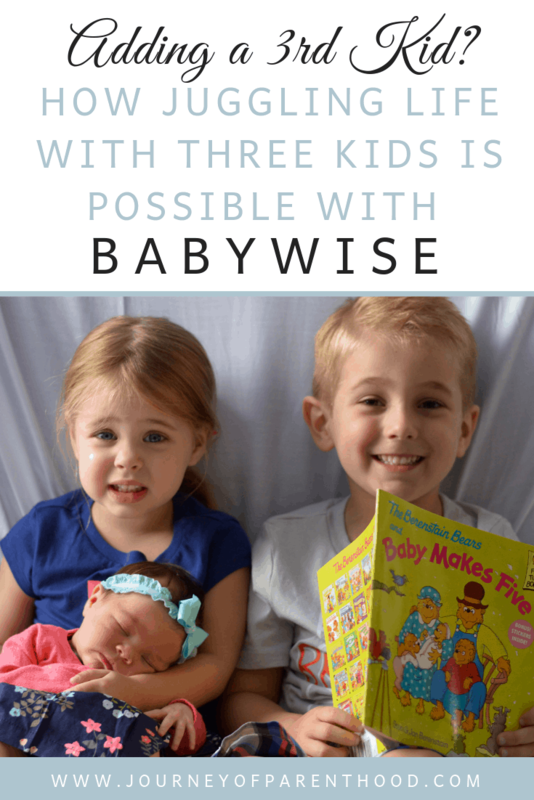 For More Babywise Related Content, Check out the posts I’ve written on my Babywise Page Here!